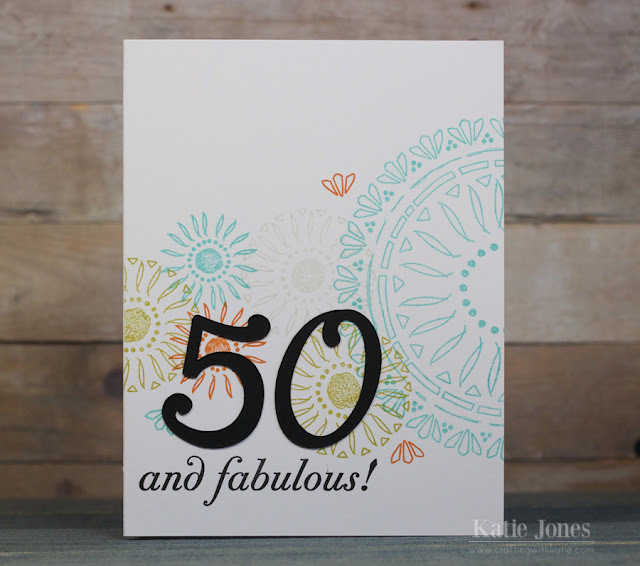 I made this fun card for a friend's 50th birthday, creating the background using the Papertrey Ink Boho Rounds stamp set. I cut the numbers from the Cricut Nursery Rhymes cartridge and finished off the sentiment with a stamp from PTI's Big Birthday Wishes! Your card is so simple but so pretty...I like the stamps used for the background. Beautiful job. My kind of card! I love simple cards and this one is AWESOME!!! !